HAPPAUGE, NY, October 15, 2018 - Seal Dynamics, a subsidiary of HEICO Corporation (NYSE: HEI) (NYSE: HEI.A) has partnered with Ducommun (NYSE: DCO) to distribute Ducommun's Engineered Products to the commercial and military aerospace markets. Dave Wilmot, Vice President and General Manager of Ducommun Engineered Products, stated, "Seal Dynamics is the perfect partner for Ducommun. Their culture, vision and passion, combined with their level of technical knowledge and market intelligence, provides a great value proposition among the best in the industry. We are confident that with their understanding of the competitive landscape for our products, Seal Dynamics will drive new business opportunities for Ducommun. They consistently deliver exceptional service that will provide a global aftermarket solution for our commercial and military customers across all markets." David Susser, Seal Dynamics' President and CEO commented "Ducommun products are installed across a broad base of electrical systems and airframe platforms and fit well into our portfolio. We are excited to establish this partnership and to work closely with Ducommun to advance our common strategy by capturing competitive market share." Ducommun Incorporated delivers value-added innovative manufacturing solutions to customers in the aerospace, defense and industrial markets. Founded in 1849 the company specializes in two core areas – Electronic Systems and Structural Systems – to produce complex products and components for commercial aircraft platforms, mission-critical military and space programs, and sophisticated industrial applications. Seal Dynamics, (a HEICO Company) founded in 1976, with its corporate headquarters based in Hauppauge, NY, and with offices in the UK, Singapore, Dubai and Florida, is the world's largest independent distributor of aerospace components. Seal Dynamics' current product portfolio includes structural, mechanical and electro-mechanical products associated with both airframe and engine applications across all ATA Chapters. Seal Dynamics stocks and distributes in excess of 100,000 products globally in support of its customers. The nacelle system is a unique technical proposition. It is designed to withstand the extreme environments of thermal cycle, vibration and operation in close proximity to the engine while being sufficiently lightweight to minimise fuel burn, durable enough to sustain repeated exposure to cyclic loads and able to offer noise reduction through acoustic engineering technology. If you ever wanted to know the level of challenge in maintaining the nacelles of modern aircraft engines, then that description by Steve Callan, Senior Director MRO at UTC Aerospace Systems, of a nacelle's task is as good a place to start as any. There are many different elements to a nacelle – engine cowling, inlet cowl, fan cowl, thrust reverser, core cowl, the exhaust system and more – and the amount of work required for each can vary. Moreover, as Callan notes, there are no prescribed shop maintenance intervals for nacelles. "While some airlines base their nacelle maintenance on reactive events such as FOD [foreign object damage] incidents, our experience shows that this methodology increases long-term maintenance costs and impacts on nacelle reliability," says Callan. "Taking a preventative approach and selecting the right maintenance partner can benefit airlines both operationally and financially." He adds that, by tailoring repair workscopes to the appropriate phase of a customer's aircraft lifecycle, UTAS can deliver OEM quality service at market competitive prices. 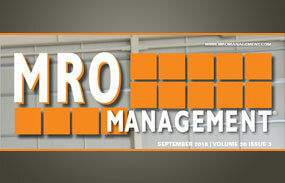 *This article from MRO Management dated September, Volume 20 Issue 3, Contained, Comprehensive Care, is being republished on www.HEICO.com with the written permission of MRO Management, the sole owner of such content. Miami and Sunrise, FL -- HEICO Corporation (NYSE: HEI.A and HEI) today announced that its Flight Support Group has signed an agreement to acquire 80.1% of the operating units of Air Cost Control ("A2C"). A2C's founders, Laurent and Laure Parelle will continue to own 19.9% of A2C. The purchase price and financial details were not disclosed. Founded by the Parelles in 2000, A2C is a leading aviation electrical interconnect product distributor of items such as connectors, wire, cable, protection and fastening systems. It also distributes a wide range of electromechanical parts. A2C's customers include aircraft manufacturers and their sub-tier suppliers, as well as airlines and maintenance, repair and overhaul ("MRO") organizations worldwide. A2C maintains extensive inventory and customer support centers in Hamburg, Germany, Sunrise, Florida and near Toulouse, France, as well as satellite offices in Paris, Beijing, Madrid, and Singapore, and employs approximately 130 team members. A2C's entire management team will remain with the company in their existing roles and HEICO stated that it does not expect any employee turnover to result from the acquisition. Laurans A. Mendelson, HEICO's Chairman and Chief Executive Officer, and Eric A. Mendelson, HEICO's Co-President, jointly commented, "The Parelles have established an international presence with attention to customer service and impressive execution. We are especially pleased that they have chosen to join HEICO and are pleased to add A2C as a sister company to Seal Dynamics in HEICO Flight Support's distribution activities. We welcome the Parelles and the entire A2C team." Laurent Parelle, President and CEO, and Laure Parelle, Executive VP and COO of A2C, jointly remarked, "We are excited to have our team join the HEICO family. We believe that HEICO will support our growth while we retain the unique culture and customer relationships that we have built. Together we will continue our high standards of customer service that have driven our growth since founding A2C seventeen years ago." HEICO Corporation is engaged primarily in the design, production, servicing and distribution of products and services to certain niche segments of the aviation, defense, space, medical, telecommunications and electronics industries through its Hollywood, Florida-based Flight Support Group and its Miami, Florida-based Electronic Technologies Group. HEICO's customers include a majority of the world's airlines and overhaul shops, as well as numerous defense and space contractors and military agencies worldwide, in addition to medical, telecommunications and electronics equipment manufacturers. Certain statements in this press release constitute forward-looking statements, which are subject to risks, uncertainties and contingencies. HEICO's actual results may differ materially from those expressed in or implied by those forward-looking statements as a result of factors including: lower demand for commercial air travel or airline fleet changes or airline purchasing decisions, which could cause lower demand for our goods and services; product specification costs and requirements, which could cause an increase to our costs to complete contracts; governmental and regulatory demands, export policies and restrictions, reductions in defense, space or homeland security spending by U.S. and/or foreign customers or competition from existing and new competitors, which could reduce our sales; our ability to introduce new products and services at profitable pricing levels, which could reduce our sales or sales growth; product development or manufacturing difficulties, which could increase our product development costs and delay sales; our ability to make acquisitions and achieve operating synergies from acquired businesses; customer credit risk; interest, foreign currency exchange and income tax rates; economic conditions within and outside of the aviation, defense, space, medical, telecommunications and electronics industries, which could negatively impact our costs and revenues; and defense budget cuts, which could reduce our defense-related revenue. Parties receiving this material are encouraged to review all of HEICO's filings with the Securities and Exchange Commission, including, but not limited to filings on Form 10-K, Form 10-Q and Form 8-K. We undertake no obligation to publicly update or revise any forwardlooking statement, whether as a result of new information, future events or otherwise, except to the extent required by applicable law. Miami, FL--HEICO Corporation (NYSE: HEI.A and HEI) today reported that Laurans A. Mendelson, its Chairman and Chief Executive Officer, received the prestigious Wright Brothers Memorial Award from the Greater Miami Aviation Association at the Association's annual gala dinner in Doral, FL on October 2, 2016. The Wright Brothers Award is the GMAA's premier award and is presented each year to an individual whose substantial and lifelong contributions to the aviation industry reflect extraordinarily on the aviation community. Prior Wright Brothers Memorial Award recipients include Fred Smith, FedEx Founder, Chairman and CEO, Gary Spulak, President of Embraer North America and other aviation industry leaders. Mr. Mendelson remarked, "I'm deeply honored to receive this special award, which I really consider to be a tribute to HEICO's 5,000 Team Members worldwide who do amazing things for our customers every day. I am also humbled and grateful to have been selected for this recognition by the GMAA, one of the premier aviation organizations in the U.S. and a mainstay of aviation for nearly 90 years." Founded in 1927, the GMAA was formed to increase public awareness of aviation and highlight the expanding role aviation plays in the South Florida community. It provides a forum for sharing opinions and concerns of the industry, government, civil leaders and others with an interest in the past, current and future activities of aviation. Through its GMAA-Batchelor Scholarship Fund, the GMAA seeks to foster professionalism in aviation by awarding scholarships to deserving South Florida college students who are majoring in education. At this year's gala, the GMAA awarded over $60,000 in scholarships. Happauge, NY, September 12, 2016 - Seal Dynamics, a wholly owned subsidiary of HEICO (NYSE: HEI), today announced that George Congionti has been named Senior Vice President, Operations. In his new role, Mr. Congionti will assume responsibility for the day-to-day running of Seal Dynamics" Operations team, including Warehouse Operations, Logistics & Distribution, Quality, Environmental Health and Safety, Customer Service, IT and Product Management. Mr. Congionti joined Seal Dynamics in 1996 as Director of Sales & Marketing and most recently held the position of Senior Vice President of Sales & Marketing. 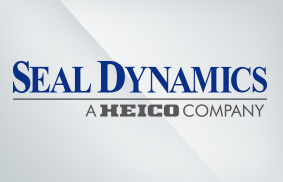 Seal Dynamics (a HEICO Company) founded in 1976, with its corporate headquarters based in Hauppauge, NY, is a world leader in technical sales and the distribution of aerospace components. Seal Dynamics' current product portfolio includes structural, mechanical and electro-mechanical products associated with both airframe and engine applications across all ATA Chapters. Through our strategic partnerships with some of the most respected OEMs in the aviation industry, Seal Dynamics stocks and distributes in excess of 100,000 products globally in support of our customer requirements. Happauge, NY, September 7, 2016 - Seal Dynamics, a wholly owned subsidiary of HEICO (NYSE: HEI), today announced that it has appointed Rick Tonney as Senior Vice President Sales, Marketing and Business Development, effective September 19, 2016. Tonney will oversee all Seal Dynamics' global sales and marketing initiatives, including the expansion of their strategic partner channels and overall direction of the company. Tonney replaces George Congionti, who has assumed new responsibilities as Senior Vice President, Operations. Tonney brings over 25 years of aerospace experience and comes to Seal Dynamics from the Wencor Group, where he served as their President of Distribution. Prior to his tenure at Wencor, Rick held the position of President and Managing Director Americas with Satair, a wholly owned subsidiary of Airbus. "I am delighted to welcome Rick to the Seal Dynamics team," said Seal Dynamics' President and CEO, David Susser. "Rick brings an excellent track record of success and has demonstrated that he is a proven leader who knows what is required to create value by strengthening partnership confidence and attract new opportunities to expand our market position." "This is a tremendous opportunity to join an exceptional aerospace distribution and services team with a stellar reputation and a highly-respected owner in HEICO", said Rick Tonney. "David and his team have established a solid global presence that consistently delivers impressive results. I look forward to contributing to their success by placing an emphasis on strategic partnering between both customers and suppliers." 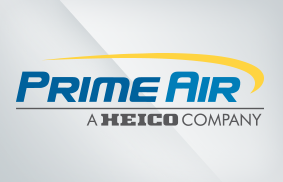 Skokie, IL, June 21, 2016 -- Prime Air LLC, a HEICO Company and globally recognized supplier of quality aircraft components, has been selected by The Boeing Company to receive their 2015 Performance Excellence Award. This award is presented to business suppliers who have consistently demonstrated their dedication to the high performance standards necessary to meet customer expectations and remain competitive in the global economy. "We are delighted to receive this prestigious award," said Barry Cohen, CEO of Prime Air. "We focus on combining a strong, innovative team with our expertise in supply chain management to deliver world class logistic solutions to our business partners, and we are extremely proud to be honored by Boeing as a leader in our industry." This is Prime Air's fourth consecutive Boeing Performance Excellence Award-Silver, and fifth total award in the past six years. Hollywood, FL and Miami, FL -- HEICO Corporation (NYSE:HEI.A) (NYSE:HEI) today announced that Forbes has ranked the company as one of the "100 Most Trustworthy Companies in America" for 2016 based on accounting and governance practices. Laurans A. Mendelson, HEICO's Chairman and Chief Executive Officer, along with Company Co-Presidents, Eric A. Mendelson and Victor H. Mendelson, commented, "We are honored that HEICO has been recognized again by Forbes. After having been ranked in the past by them as one of the Top 100 Best Small Companies and one of the Top 100 Most Innovative Growth Companies, this award recognizes the values of our nearly 5,000 Team Members. We are proud to lead one of the hardest working and most successful teams in our industry - a team which consistently surpasses our targets and milestones without compromising our transparency, values and trust." Tempe, Arizona, April 18, 2016 - Announced at the MRO Americas, Dallas, Harter Aerospace, a HEICO Company (NYSE:HEI) has won the prestigious OneAero MRO award for Best Engine Accessories Repair Shop. "It is an honor to be selected by the airlines and our peers for this coveted award" said Glenn Kollett, VP & GM of Harter. "This award recognizes Harter Aerospace as a leader in the Aviation Repair Industry and is a testament to our commitment of providing the highest level of service to our customers." "Harter Aerospace is no stranger to the Top Shop awards" said Justin Spaulding, President of OneAero MRO. "Besides being a consistent finalist nearly every year since the awards began back in 2007, Harter was able to secure a win this year for the Best Engine Accessories Repair category. Congratulations again for a job well done." Highland Heights, Ohio, April 18, 2016 - Inertial Aerospace Services, a HEICO Company (NYSE:HEI) is proud to announce that they have won the OneAero MRO 2016 TOP SHOP "Best Gyro Repair" award. "We are extremely proud of the Inertial team for their hard work, dedication, and attention to detail which undoubtedly resulted in receiving the OneAero-MRO award," said Nicholas Wright, Inertial Aerospace Services' VP & GM. "It is a great honor to be recognized by our peers and airlines in the aviation community and we would like to thank those that voted for Inertial." "There are few things in my job that are as exciting as calling a company to let them know they've won a Top Shop Award, but what makes it extra special is when the company that wins the award does it without soliciting nominations" said Justin Spaulding, President of OneAero MRO. "Congratulations to Inertial Aerospace for winning the award on their own merits, without solicitation." HEICO Aerospace announces the signing of an exclusive five year component maintenance Flight Hour Agreement with JetBlue covering the majority of components fitted to the V2500 engine operating on JetBlue's fleet of Airbus A320/A321 aircraft. HEICO Repair Group will provide component repair and component management services under contract, utilizing its extensive in house repair capability, expansive supplier network, and access to asset pools. HEICO Parts and Repair Group President, Luis Morell commented, "We are pleased that JetBlue has chosen HEICO to support its V2500 engine components. This Agreement is a natural progression of the partnership formed between HEICO and JetBlue; first as a transactional component maintenance provider, evolving into total component support services". 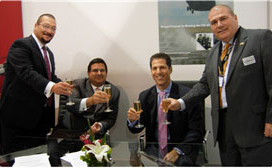 Miami and Ft. Worth, Texas, Aug. 19, 2015 -- HEICO Corporation (NYSE:HEI.A) (NYSE:HEI) today announced it has acquired 80.1% of Aerospace & Commercial Technologies (ACT), a leading provider of products and services necessary to maintain up-to-date F-16 fighter aircraft operational capabilities. ACT's leadership team will continue to own 19.9% of ACT. The purchase price and financial details were not disclosed. Certain statements in this press release constitute forward-looking statements, which are subject to risks, uncertainties and contingencies. HEICO's actual results may differ materially from those expressed in or implied by those forward-looking statements as a result of factors including, but not limited to: lower demand for commercial air travel or airline fleet changes, which could cause lower demand for our goods and services; product specification costs and requirements, which could cause an increase to our costs to complete contracts; governmental and regulatory demands, export policies and restrictions, reductions in defense, space or homeland security spending by U.S. and/or foreign customers or competition from existing and new competitors, which could reduce our sales; HEICO's ability to introduce new products and product pricing levels, which could reduce our sales or sales growth and HEICO's ability to make acquisitions and achieve operating synergies from acquired businesses, customer credit risk, interest and income tax rates and economic conditions within and outside of the aviation, defense, space, medical, telecommunications and electronics industries, which could negatively impact our costs and revenues. Parties receiving this material are encouraged to review all of HEICO's filings with the Securities and Exchange Commission, including, but not limited to filings on Form 10-K, Form 10-Q and Form 8-K. We undertake no obligation to publicly update or revise any forward-looking statement, whether as a result of new information, future events or otherwise, except to the extent required by applicable law.b sites change HEICO's Class A Common Stock symbol (HEI.A) to HEI/A or HEIa. Hollywood, Fla., Blacksburg, Va. and Buc, France, July 13, 2015 -- HEICO Corporation (NYSE:HEI.A) (NYSE:HEI) today reported that two of its subsidiaries supplied products for NASA's remarkable New Horizons spacecraft which is scheduled to make a historic first Flyby past Pluto tomorrow, July 14, 2015. 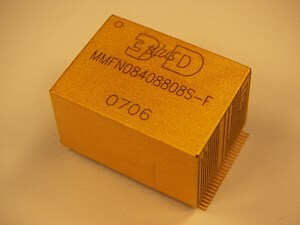 HEICO's Buc, France-based 3D PLUS subsidiary supplied 4Gbit NAND Flash memory modules for the Solid State Data Recorder which will be used to store data and pictures of Pluto. This was the first time that NAND Flash was used for space operations. HEICO's Blacksburg, VA-based VPT, Inc. subsidiary supplied hybrid power converters for the mission. 3D PLUS, VPT and HEICO's Sierra Microwave Technology have all supplied critical components on numerous NASA and European Space Agency programs. These HEICO subsidiaries are known leaders in complex, high-reliability and mission-critical engineering and manufacturing for spacecraft. 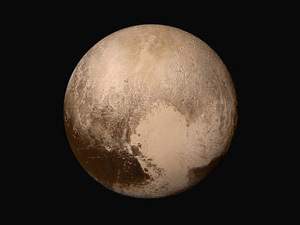 HEICO, 3D PLUS, VPT and Sierra Microwave all congratulate NASA and the team leaders on New Horizons -- Johns Hopkins Applied Physics Laboratory and Southwest Research Institute -- on another remarkable mission. The fastest spacecraft ever launched, New Horizons has traveled more time and distance than any space mission in history to reach its primary target. Tomorrow's Flyby will complete the initial exploration of the classical solar system while opening the door to an entirely new realm of mysterious small planets and planetary building blocks in the Kuiper Belt. Sarasota, Fla., June 23, 2015 -- Dukane Seacom (a HEICO Company) has created the first FAA and EASA certified 90 day underwater locator beacon (ULB) that complies with TSO-C121b & TSO-C142a and ETSO-C121b & ETSO-C142a. Dukane Seacom is the world's largest supplier of ULB devices to the commercial and military aviation markets. The new 90 Day operational requirements go into effect on December 1, 2015. In addition to exceeding this longer operational requirement, the DK120/90 also offers a 7 year battery replacement cycle. This longer battery life is one year longer than that offered by our existing 30 Day ULB's and better aligns with recorder and aircraft maintenance cycles. These ULBs have been extensively tested to verify compliance to all primary cell lithium battery safety requirements including FAA and EASA approvals. An exchange program is offered for airlines who would like to convert from 30 day beacons to 90 day beacons through Dukane Seacom's distribution partner, Seal Dynamics. "We are pleased to establish the new operational standard in underwater locator beacon technology with our 90 day ULB. It will give search teams the additional time they need to perform their functions," said Anish Patel, President of Dukane Seacom. With over 40 years of industry experience, Dukane Seacom has the largest install base of underwater locator beacons (commercial, military, and business jets) with over 50,000 ULB units installed on aircraft. This unmatched reliability and expertise is what airlines put their trust in when purchasing Dukane Seacom products. Sarasota, FL-based Dukane Seacom Inc. is the world's leading supplier of underwater acoustic locator beacons for the aviation and marine markets. Dukane Seacom beacons are installed on the global commercial and business jet aircraft fleets, military fixed wing and rotary aircraft, as well as maritime and specialty underwater applications. MIAMI and HOLLYWOOD, Fla., June 15, 2015 -- Forbes Magazine has again named HEICO Corporation (NYSE:HEI.A) (NYSE:HEI) one of the "100 Most Innovative Growth Companies" for 2015, marking 10 awards in 10 years for the rapidly growing aviation, defense, space and electronics company. "We are honored that HEICO has been recognized by Forbes for another year. HEICO's hardworking and dedicated team of over 4,500 people, is the driving force that continues to lead the company to our great successes and milestones. Achievements like this are made possible by a strong focus on organic and innovative growth strategies," said Laurans A. Mendelson, HEICO's Chairman and Chief Executive Officer and Co-Presidents, Eric A. Mendelson and Victor H. Mendelson. HEICO Corporation is engaged primarily in certain niche segments of the aviation, defense, space, medical, telecommunications and electronics industries through its Hollywood, Florida-based Flight Support Group and its Miami, Florida-based Electronic Technologies Group. 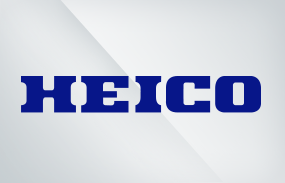 HEICO's customers include a majority of the world's airlines and overhaul shops as well as numerous defense and space contractors and military agencies worldwide, in addition to medical, telecommunications and electronics equipment manufacturers. For more information about HEICO, please visit our website at http://www.heico.com. BLACKSBURG, VA, May 5, 2015 - VPT, Inc. (VPT®), a HEICO company (NYSE:HEI.A) (NYSE:HEI), launched its new VXR Series of DC-DC Converters and EMI Filters today at the annual Association for Unmanned Vehicle Systems International (AUVSI) conference being held in Atlanta, Georgia. The VXR Series of DC-DC Converters and EMI Filters represent VPT's most advanced offering of its extensive line of high-reliability COTS DC-DC Converters and accessory products. Available in models ranging from 7 to 100 Watts with an industry leading wide continuous input voltage range from 9 to 60 VDC and transient operation from 6 to 80 VDC, the VXR Series is optimized for a broad range of applications from military ground vehicles to commercial and military aircraft, including the unique power needs of unmanned aerial and ground systems. The VXR Series utilizes VPT's patent-pending advanced packaging technology. This proprietary encapsulation process incorporates EMI shielding and dual-sided thermal conduction. 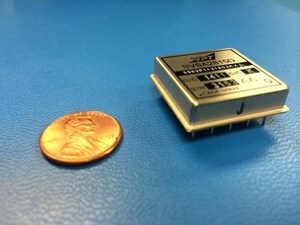 The integral epoxy encapsulated packaging is highly resistant to chemical, solvent and salt environments and is fully compatible with high-volume manufacturing processes including wave solder, cleaning solvents, high-pressure sprays and aqueous wash.
"The VXR Series of products is reliability and efficiency focused, utilizing a low-noise, fixed frequency wide input voltage range topology," said Jeremy Ferrell, VPT's Manager of Standard Product Engineering. "We achieved this high efficiency over a wide input voltage range with a proprietary precision-controlled synchronous rectification topology. The high efficiency design in-turn reduces the thermal management requirements. We also incorporated a proprietary control loop design that provides a fast transient response without the use of optoisolators." Ferrell added, "For customers with noise sensitive applications, we developed the VXR EMI Filter Series with current ratings from 2 to 20 Amps that were specifically designed to meet specific MIL-STD-461 and DO-160 conditions when used with our VXR Series DC-DC Converters." The VXR Series of DC-DC Converters and EMI Filters are available for immediate sale. Individual unit prices begin at $100 (USD) for volume quantities. 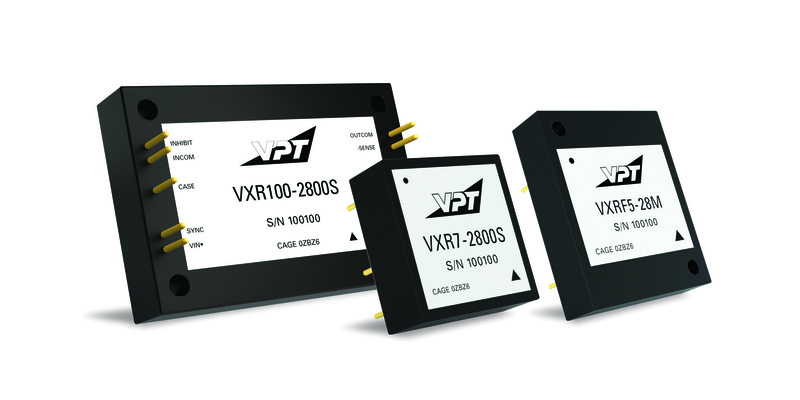 Additional information on the VXR Series and specific product datasheets can be found at www.vptpower.com. VPT, Inc., part of the HEICO Electronic Technologies Group, leads the industry in providing innovative DC-DC power converters, EMI filters, and custom engineering services for avionics, military, and space applications. Every day, global organizations like NASA, Lockheed Martin, Boeing, BAE Systems, the United States Air Force and many more depend on quality solutions from VPT to power critical systems. On the ground, in the air, or beyond, VPT provides the power conversion solutions driving critical missions that require high reliability. For more information about VPT, please visit www.vptpower.com. HOLLYWOOD, Fla. and MIAMI, March 9, 2015 -- HEICO Corporation (NYSE:HEI.A) (NYSE:HEI) today announced that two of its subsidiaries supplied mission critical flight hardware on NASA's Dawn spacecraft. 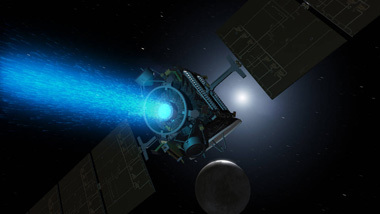 The Dawn spacecraft became the first mission in history to achieve orbit around a dwarf planet when it orbited Ceres on Friday, March 6, 2015. HEICO's Sierra Microwave Technology subsidiary supplied X band communication transmitter input and output Isolators for NASA's Jet Propulsion Laboratory (JPL) and Johns Hopkins' Applied Physics Labs (APL). Based in Georgetown, Texas, Sierra Microwave is a leading designer and manufacturer of high-reliability, mission-critical microwave components for spacecraft. Also, HEICO's 3D PLUS subsidiary supplied 2Gb SDRAM and 4Gb NAND FLASH memory modules to JPL. Buc, France-based 3D PLUS is a leading supplier of high-reliability, mission-critical memory modules and system-in-package modules for spacecraft. 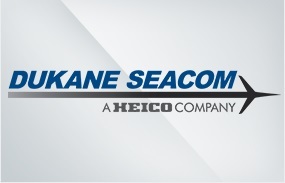 SARASOTA, FL -- December 29, 2014, Dukane Seacom Inc., a HEICO company (NYSE: HEI.A and HEI) received FAA certification under TSO-C121b and TSO-C142a for its 90-day underwater locator beacon. The DK120/90 is certified to operate for a minimum of 90-days of continuous operation in water, giving search crews an extended amount of time to locate and recover the flight data and voice recorders in the event of an incident. The DK120/90 90-day beacon has the identical external dimensions as the existing designs and is a drop in replacement for the DK100 and DK120 series part numbers. New units are available for immediate purchase and an exchange/upgrade program is being offered for in-service units through our authorized distribution partner Seal Dynamics. "Dukane-Seacom is pleased to offer the industry's first TSO'd 90-day underwater locator beacon. The extended operating life of the DK120/90 will give investigators the additional time they need to locate voice and data recorders in the event of an incident in water," said Anish Patel, President of Dukane-Seacom and Radiant Power Corp.
Sarasota, FL-based Dukane Seacom Inc. is the world's leading supplier of underwater acoustic locator beacons for the aviation and marine markets. Dukane Seacom beacons are installed on the global commercial aircraft fleet, military fixed wing and rotary aircraft, as well as maritime and specialty underwater applications. MIAMI, BUC, France and BLACKSBURG,Va., Dec. 8, 2014 -- HEICO Corporation (NYSE:HEI.A) (NYSE:HEI) today reported that two of its subsidiaries supplied High-Reliability electronic products for NASA's Orion program. Orion was successfully launched into space and was then successfully recovered at sea after re-entering the Earth's atmosphere according to plan in its Exploration Flight Test on Friday December 5, 2014. 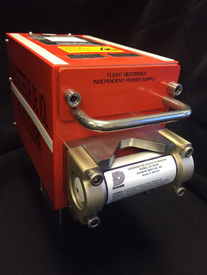 HEICO's 3D Plus subsidiary supplied a Radiation Hardened and Space Qualified 32 gigabyte NAND Flash module used as the memory for the spacecraft's data recorder in order to store images and video captured during the mission, as well as numerous flight parameters captured by Orion's instruments. Headquartered in Buc, France with operations in CA and TX, 3D Plus has also supplied mission critical components on other space explorations, such as the NASA/JPL Mars Curiosity Rover and the European Space Agency's recent Rosetta/Philae comet landing mission. In addition, HEICO's VPT, Inc. subsidiary supplied Hybrid DC-to-DC Electrical Converters for use in connection with development of Orion's power subsystem. Based in Blacksburg, VA, VPT is a leading supplier of High Reliability electronic components on spacecraft, such as the US Air Force's Global Positioning System (GPS) program, the NASA Mercury Messenger, and other satellites. "We congratulate NASA, its partners and suppliers on the successful launch and recovery of a uniquely advanced system that demonstrates the Country's remarkable space capabilities and reminds us of the great prospects the U.S. space program continues to hold. We thank our remarkable Team Members at 3D Plus and VPT for their ingenuity, their commitment to quality and their dedication to advancing the space program; as always, they make us very proud." BUC, France and MIAMI, Nov. 13, 2014 -- HEICO Corporation (NYSE:HEI.A) (NYSE:HEI) today reported that its 3D PLUS subsidiary supplied mission critical components on the European Space Agency's (ESA) Rosetta program which yesterday successfully landed a robotic probe on a comet for the first time in history. Based in Buc, France, 3D PLUS supplied six identical micro-cameras which will be used to take 360 degree panoramic pictures of the comet's surface and one micro-DPU computer on the robotic probe called Philae, along with one micro-DPU computer and one micro-camera onboard the Rosetta spacecraft which carried Philae to the comet on a more than 10-year journey which began on March 2, 2004. 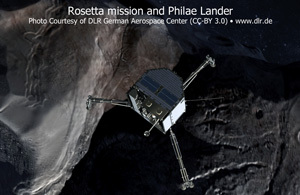 The analytical instruments aboard Philae were developed by IAS/Universite Paris-Sud and the instruments which 3D PLUS supplied on the Rosetta spacecraft were developed by the Max Planck Institute. The devices supplied by 3D PLUS on the Rosetta spacecraft are involved in analyzing the characteristics of dust grains emitted by the comet. "Once again, our fellow HEICO Team Members have us overflowing with pride. 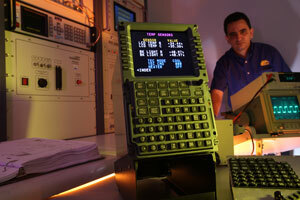 3D PLUS has repeatedly supplied successful and critical components on important space missions. We congratulate the entire team at 3D PLUS, which is led by their talented CEO, Pierre Maurice, on this tremendous accomplishment. We also congratulate ESA and all of its partners on the remarkable program which they expertly created and carried out." 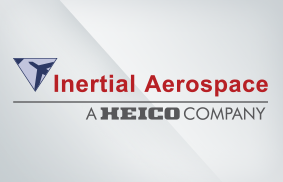 HEICO Corporation is engaged primarily in the design, production, servicing and distribution of certain niche aviation, defense, space, medical, telecommunications and electronics products. HEICO's customers include a majority of the world's airlines and overhaul shops as well as numerous defense and space contractors and military agencies worldwide in addition to medical, telecommunications and electronics equipment manufacturers. 3D PLUS (www.3d-plus.com) is a world-leading supplier of advanced, high-density, three-dimensional micro-electronic products, along with Die and Wafer level stacking technology meeting the demands for high reliability, high performance and very small sized electronics. 3D PLUS primarily serves the space and medical industries. Prime Air, a HEICO Company, and Ontic Team Up! HOLLYWOOD, FL and MIAMI, October 9, 2014 -- Prime Air LLC (Prime Air) and Ontic signed a new partnership agreement at MRO Europe, held in Madrid, Spain. "We see a bright future with Prime Air and Ontic joining forces to market Ontic's vast product line. With Ontic's products and Prime Air's reach in the worldwide marketplace, this partnership will bring exciting opportunities to both organizations." Prime Air is a leading provider of Asset Management Solutions worldwide. Prime Air's Purchasing/Exchange, PBH and Repair Management programs provide Airframe, Engine, APU, Landing Gear and Wheels and Brake material. Ontic is a provider of high-quality, cost effective solutions in the delivery and continuous support of maturing aerospace platforms to the major aerospace OEM's and airframe operators. As more and more airlines and OEM's find the need to reduce costs and consolidate their vendor base, Prime Air and Ontic will be able to offer a total comprehensive approach. 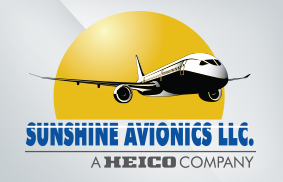 Miramar, FL October 21, 2014 -- We are pleased to announce that Sunshine Avionics (Sunshine), a HEICO company (NYSE:HEI.A) (NYSE:HEI), will be celebrating their 10th Anniversary this month. Sunshine opened its doors as an FAA certified repair station on October 21, 2004 in Miramar, Florida. Sunshine is a leading provider of the highest quality MRO services for advanced avionic component repairs. Sunshine's capabilities include multiple ATA Chapters along with a wide range of products and services including: avionics, accessories and instruments. Sunshine's significant investments in automatic test equipment (ATE) combined with a talented team of hands-on engineers has resulted in efficient and reliable repairs with significantly reduced turn times. In addition to the wide array of repair capabilities currently offered, Sunshine is adding the ATEC 6 ATE, providing an even broader offering for Airbus avionic component services. By providing the most innovative cost savings solutions available in the marketplace and commitment to outstanding customer service and reliability, Sunshine will continue to lead the industry for years to come. "Sunshine Avionics - Forward Thinking Engineered Solutions"
BLACKSBURG, VA, July 15, 2014 -- VPT® Inc., a HEICO company (NYSE:HEI.A) (NYSE:HEI), today announces the addition of VPT Radsm, a comprehensive radiation laboratory and test services facility, to serve the radiation and related test needs of aerospace electronics manufacturers. The 5,000 square-foot Chelmsford, Massachusetts facility, formerly known as Si-REL, provides specialized environments and equipment for evaluating electronics used in applications where ionizing radiation can degrade device performance. 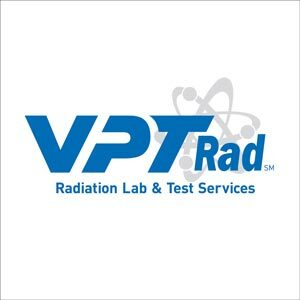 VPT Rad offers turn-key solutions at both High Dose Rate (HDR) with its TID GC-200 irradiator and Low Dose Rate (LDR) Broad Beam TID irradiation for Enhanced Low Dose Rate Sensitivity (ELDRS) analysis. Additionally, the facility services the radiation needs of the biomedical manufacturing market. The VPT Rad facility meets the requirements of MIL-STD-750 and MIL-STD-883; and has approved Source Suitability from the Defense Logistics Agency (DLA). The facility also services radiation test needs for customers and programs outside the U.S. using European Space Components Coordination (ESCC) 22900 compliant test methods. VPT® Inc., part of the HEICO Electronic Technologies Group, leads the industry in providing innovative DC-DC power converters, EMI filters, and custom engineering services for avionics, military and space applications. VPT delivers its power solutions in a fast timeframe, with certified quality, at a competitive price. Every day, organizations like NASA, Lockheed Martin, Boeing, the United States Air Force and many more depend on quality solutions from VPT to power critical systems. On the ground, in the air, or beyond, VPT provides the power driving critical missions that require the highest level of reliability. For more information about VPT, please visit www.vptpower.com. HOLLYWOOD, Fla. and MIAMI, July 14, 2014 (GLOBE NEWSWIRE) -- Forbes Magazine has named HEICO Corporation (NYSE:HEI.A) (NYSE:HEI) one of the "World's 100 Most Innovative Growth Companies" for 2014, marking nine awards in nine years for the aviation, defense, space and electronics company. HEICO is the only company listed under the Aerospace & Defense category. "We are honored that HEICO has once again been recognized by Forbes, a true testament to the expertise and innovative spirit of our more than 4,000 team members to whom I extend my deepest gratitude for their remarkable efforts and dedication," said Laurans A. Mendelson, HEICO's Chairman and Chief Executive Officer. While this marks the first time HEICO has been included in the selection of the best-performing companies under $10 billion in market cap, this complements the seven years HEICO has been included in either list of Forbes "200 Best Small Companies" or in Forbes "100 Best Small Companies." HOLLYWOOD, FL and MIAMI, May 6, 2014 -- Sunshine Avionics LLC, a HEICO Aerospace Corporation subsidiary, is pleased to announce their recent ANAC repair station certification. ANAC (Agência Nacional de Aviação Civil), is the agency responsible for the regulation and the safety oversight of civil aviation in Brazil. This achievement will allow Sunshine Avionics to offer their advanced avionics repair services to the numerous airline and MRO customers in Brazil. Sunshine Avionics LLC, located in Miramar, Florida, is a leading provider of the highest quality MRO services for advanced avionics component repairs. Sunshine Avionics´ significant investments in automatic test equipment (ATE), combined with a talented team of hands-on engineers, has resulted in efficient, reliable repairs – Level III board repairs, along with significantly reduced turn times. Along with their ANAC certification, Sunshine also holds certificates with the FAA, EASA, Department of Civil Aviation of Thailand and Directorate General of Civil Aviation of Indonesia. Sunshine Avionics leads the industry by providing the most innovative cost saving solutions available in the marketplace, outstanding service, reliability, and minimal TATs. These characteristics along with the HEICO promise of unparalleled quality are the key ingredients to Sunshine's continued success. HEICO Corporation is engaged primarily in certain niche segments of the aviation, defense, space, medical, telecommunications and electronics industries through its Hollywood, Florida-based Flight Support Group and its Miami, Florida-based Electronic Technologies Group. HEICO's customers include a majority of the world's airlines and overhaul shops as well as numerous defense and space contractors and military agencies worldwide in addition to medical, telecommunications and electronics equipment manufacturers. HOLLYWOOD, Fla. and MIAMI, Jan. 15, 2014 -- HEICO Corporation (NYSE:HEI.A) and (NYSE:HEI) today reported that Forbes Magazine has included HEICO as one of the 100 Best Small Companies in Forbes' 2013 annual list of such businesses. This marks the seventh year HEICO has been included in the list of Forbes 200 Best Small Companies, and the third year of HEICO's inclusion in the top 100 List. 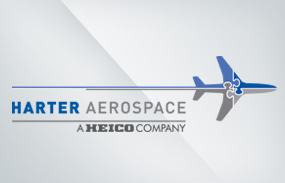 For 2013, HEICO was recognized and ranked number two out of the five companies listed in the Aerospace and Defense, and Airline Industry categories. Laurans A. Mendelson, HEICO's Chairman, and Chief Executive Officer, remarked, "We are again honored and pleased that Forbes has bestowed this recognition on our Company. The achievement of another award is a testament to the long term focus and dedication of every HEICO Team Member." The Company has two classes of common stock traded on the NYSE. Both classes, the Class A Common Stock (HEI.A) and the Common Stock (HEI), are virtually identical in all economic respects. The only difference between the share classes is the voting rights. The Class A Common Stock (HEI.A) receives 1/10 vote per share and the Common Stock (HEI) receives one vote per share. The stock symbols for HEICO's two classes of common stock on most web sites are HEI.A and HEI. However, some web sites change HEICO's Class A Common Stock stock symbol (HEI.A) to HEI/A or HEIa. CORONA, CA - CIRCOR Aerospace, Inc., a CIRCOR International Company (NYSE: CIR), has expanded upon the sales representation and distribution agreement with Seal Dynamics for the CIRCOR Aerospace Circle Seal Controls product line based in Southern California. The expanded contract adds global distribution of aircraft galley and lavatory OEM's to the existing agreement. Seal Dynamics will continue to increase customer connectivity and market presence for the CIRCOR Aerospace/Circle Seal Controls' line of specialized fluidic controls components, manifolds and subsystems. "Seal Dynamics and their international network continue to drive increased customer awareness of the Circle Seal Controls line of products and capabilities," said Michael Dill, CIRCOR Aerospace Vice President of Business Development and Strategy. "We are pleased with the team effort and will continue to increase the global reach CIRCOR Aerospace will gain from our partnership," said David Susser, Seal Dynamics' CEO. Founded in 1976, Seal Dynamics has grown from a value-added distributor and manufacturer of mechanical seals to an integrated provider of engineering and logistics solutions serving the industrial and airline industries. Substantial resources including an experienced team of engineering sales professionals enable Seal Dynamics to provide unmatched products, service, and support. Headquartered in Long Island with a fully integrated warehouse, Seal Dynamics can guarantee customers the highest levels of service and inventory planning. Parts and component inventory is the largest and most diverse in the aerospace market, including components from leading OEM-approved manufacturers and hundreds of FAA-approved parts. For customers, Seal Dynamics' superior inventory provides cost-saving just-in-time deliveries. With international distribution points supported by an advanced electronic inventory system, the order fulfillment process is unmatched in the industry. About CIRCOR Aerospace Products Group and CIRCOR Aerospace, Inc.
CIRCOR Aerospace Products Group is focused on the design, development, and manufacture of specialty fluidic control, actuation, and aircraft landing gear systems for demanding aerospace and defense applications. CIRCOR Aerospace provides a full range of fluid controls and electro-mechanical controls, actuation systems, manifold assemblies, and complete landing gear systems. CIRCOR Aerospace has business units located in California, Ohio, New York, Paris and Chemille, France, Tangier, Morocco and Suzhou, China. Parent company CIRCOR International is headquartered in Burlington, Massachusetts and the CIRCOR Aerospace Products group is headquartered in Corona, California. HEICO Lighting™ and Future Electronics are pleased to announce a worldwide distribution agreement for HEICO Lighting™ LED lighting solutions. Saint-Eustache, QUEBEC (September 13th, 2010) - HEICO Lighting™ and Future Electronics are pleased to announce that both companies have signed a worldwide distribution agreement for HEICO Lighting™ LED lighting solutions. Under the terms of this agreement, Future Electronics will distribute all HEICO Lighting's™ LED product line: the Virgolite™ and D-LEDbar™ series. The LED product line is mostly dedicated to the electrical signage and architectural market sectors. "With Future's ability to provide strong technical support, supply management and fast delivery service, we are looking forward to offer our current and future clients the most advanced and competitive service and product offering worldwide," said Vital Dumais, President and CEO of HEICO Lighting™, "With Future Electronics' 48 hours delivery and stocking capabilities, there's no doubt in my mind this will change the industry." "We are excited to have signed a franchise agreement with HEICO Lighting," said Bruce Jones, Worldwide Vice President of Marketing. "Their innovative contactless LED modular system simplifies the adoption of LED technology into many lighting applications, and integrates well with our customer expansion plans into new market segments." 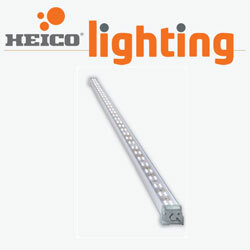 HEICO Lighting™ specializes in designing, producing and marketing world-class electronic lighting products. We provide from individual components to private-label turnkey light engines. In the past 25 years, we have introduced major breakthrough technologies, the more recent being: Contactless LED illumination powered by electromagnetic induction and the FIRST Electrolytic Capacitor FREE solid-state power supply. Consistently exceeding market expectations, the company's mission is to lead the solid state lighting industry while contributing to society through the development of meaningful innovations. Foradditional information, visit http://www.heicolighting.com or contact us 1-800-665-1166. A global distributor headquartered in Montreal, Canada operating 169 locations in 42 countries around the world. Future Electronics has earned an impressive reputation for the strength of its commercial and technical competencies through all stages of the design-production cycle, and for developing efficient, comprehensive global supply chain solutions. Future Electronics is globally integrated, with one worldwide IT infrastructure providing real time inventory availability and access, while enabling full integration of operations, sales and marketing worldwide. Offering the highest level of service, the most advanced engineering/design capabilities and technical solutions, and the largest available-to-sell inventory in the world, the company's mission is always to Delight the Customer®. For more information, visit http://www.futureelectronics.com. Vision and hands on leadership are part of the common thread that runs between the 4 aviation executives who have recently joined the Washington D.C. based Aviation Suppliers Association (ASA) Board of Directors. "Our new Board will include: Richard Levin, Managing Director with A.J. Levin Company; David J. Susser, President and CEO for Seal Dynamics LLC; Brent Webb, President of Aircraft Inventory Management & Services, Ltd.; and Mitchell Weinberg, President at International Aircraft Associates, Inc.," remarks Michele Dickstein, President of ASA. "They will be joining current directors, with leading original equipment manufacturers (OEMs), to build and begin implementation of a 5 year strategic plan that will improve aviation safety as well as global representation for our world-wide membership." Knowing what works and will be challenging to implement on a global basis is key. "During profitable times, expansion, and correcting economies our company has remained active with ASA, which has made us stronger," states Richard Levin, Managing Director for A.J. Levin Company. "As a board member, one area of focus will be to ensure that best practices, versus theory, drive more international representation which will add value across our organizations membership." Engaging and expanding membership strengthens every entity. "ASA has experienced 16% growth in membership that crosses 19 countries, releases 'The Update Report' to more than 5,000 industry constituents, and is on track for more expansion in 2011," adds David Susser, President and CEO for Seal Dynamics LLC. "This is an area that I am excited to be a part of and will include work with ASA's strategic workshops, world-wide conference, and industry panels that shape the aviation industry." Promoting advancement in business and quality practices that streamline processes will continue. "My involvement with ASA has ranged from evaluating improvements in technology to oversight on the promulgation of the Electronic 8130-3," replies Brent Webb, President of Aircraft Inventory Management & Services. "My role will continue to work in areas that modernize the industry, but will positively impact the bottom lines of our memberships businesses in the future." Continuity in leadership is rare in today's world but remains critical to successful organizations. "I am honored by the members unwavering faith in me and the value of my contributions. It gives me great pleasure to continue to serve on the ASA board," notes Mitchell Weinberg, President at International Aircraft Associates. 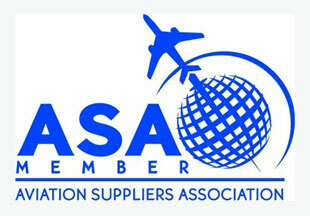 "Currently ASA is presented with many opportunities to expand its international footprint and provide tremendous value to the world's aviation marketplace. I am looking forward to being part of this." Serving aerospace markets since 1938, the A.J. Levin Company (A.J. Levin) has a long and successful history as a supplier of aircraft spares and standard consumable material to Airlines, MRO's and manufacturers through the world. Based in Los Angeles California, the company serves a growing list of customers around the globe with innovative material solutions. Today, A.J. Levin stocks more than 20,000 lines of factory new spares for Airbus and other aircraft types. Through its size and organization, the company is uniquely positioned to provide its customers with quick responses, competitive pricing, proper documentation, and delivery of consumable solutions. Learn more about The A.J. Levin Company's successful history by visiting their site at,www.ajlevin.com. Since the company's founding in 1976, Seal Dynamics has grown from a value-added distributor and manufacturer of mechanical seals to an integrated provider of engineering and logistics solutions serving the industrial and airline industries. We are dedicated to developing an infrastructure to ensure that state-of-the-art mechanical components will be in the hands of our customers when and where they are needed. Seal Dynamics provides full-spectrum engineering solutions - from the design and manufacture of custom and FAA/PMA parts to engineered retrofits. Substantial resources, coupled with an experienced team of engineering sales professionals, enable Seal Dynamics to provide products, service, and support that are unmatched in the marketplace. To learn more about Seal Dynamics and how they exceed customer expectations visit their website, www.sealdynamics.com. Sarasota, FL- Radiant Power Corp, a subsidiary of HEICO Corporation, announced that it delivered its 500th Sentinel™ Recorder Independent Power Supply (RIPS). The RIPS provides emergency power to the aircraft flight voice recorder in the event of an electrical system failure, allowing the recorder to continue capturing valuable data which can be useful in the event of accident. Sentinel™ is installed on several production aircraft, including the Sikorsky S-92, Boeing 737NG and 787. Located in Sarasota, Florida, Radiant Power Corp is focused on the design and manufacture of battery backup systems, power controllers, lighting control, and seat actuation and lumbar control for the aerospace and military markets. More information can be found at www.radiantpowercorp.com.